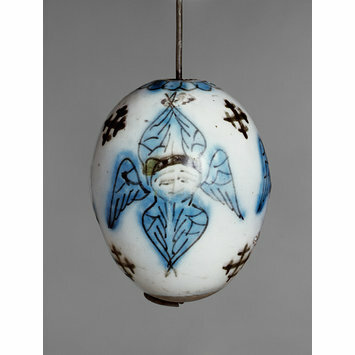 Hanging ornament of fritware, egg-shaped, painted with Seraphims (six winged angels) and crosses under a clear glaze. 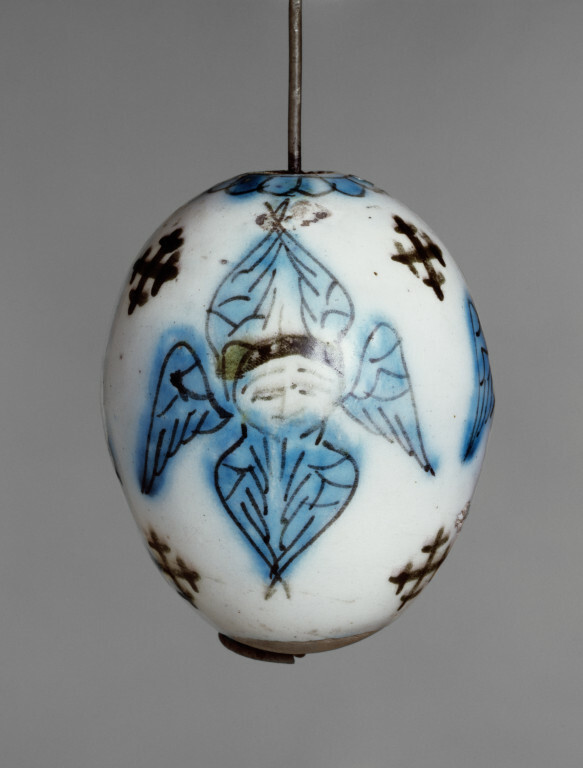 Egg-shaped ornament such as this one were hung on chains from which oil lamps were suspended in churches and mosques. Hanging ornament, fritware with polychrome painted with seraphim, Turkey (Kütahya), about 1750. Three oranments for suspension in a church.